Sugata Kaviraj obtained his PhD at the University of Oxford in 2006. Subsequently, he spent two years at Oxford, funded by a Leverhulme Early-Career Fellowship and a Research Fellowship at Worcester College. Following this, he spent a year at UCL on a Research Fellowship from the 1851 Royal Commssion and three years at Imperial College London (ICL), funded by an ICL Junior Research Fellowship. 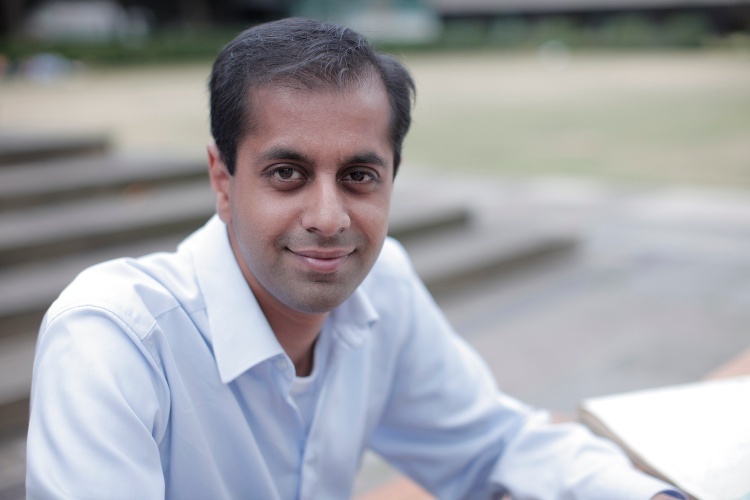 In 2011, Kaviraj was awarded the Royal Astronomical Society's Winton Capital Award, given to the astronomer within 5 years of their PhD whose career had shown the most promise. He joined Hertfordshire in 2013 and is currently a Senior Research Fellow at Worcester College Oxford. Kaviraj’s research spans observation and theory, bringing together multi-wavelength data with state-of-the-art galaxy formation models. His early-career contributions have been to star formation in early-type galaxies, the role of mergers (minor mergers in particular) in driving stellar mass and size growth and the impact of supernova and AGN feeback on the inter-stellar medium. He has held leadership roles in the GALEX and MUSYC collaborations and in the recent Wide Field Camera 3 (WFC3) Early-Release Science programme. Kaviraj is a board member and the UK Galaxies Point of Contact for the LSST:UK collaboration. Other ongoing project memberships include the Herschel-ATLAS, CANDELS, mJy Imaging VLBA Exploration (mJIVE-20) surveys, the Horizon-AGN simulation project and the Galaxy Zoo citizen-science consortium. Newborn spheroids at high redshift: When and how did the dominant, old stars in today's massive galaxies form? Kaviraj, S., Silk, J., Ellis, R. S., Cohen, S., Windhorst, R. A., Peirani, S., O'Connell, R. W., Whitmore, B. C., Ryan Jr., R. E., Hathi, N. P., Dopita, M. A., Frogel, J. A. & Dekel, A., 11 Jan 2013, In : Monthly Notices of the Royal Astronomical Society. 428, 2, p. 925-934 10 p.
Kaviraj, S., Rowlands, K., Alpaslan, M., Dunne, L., Ting, Y. S., Bureau, M., Shabala, S., Lintott, C. J., Smith, D., Agius, N., Auld, R., Baes, M., Bourne, N., Cava, A., Clements, D. L., Cooray, A., Dariush, A., de Zotti, G., Driver, S. P., Eales, S. & 8 othersHopwood, R., Hoyos, C., Ibar, E., Maddox, S., Michalowski, M. J., Sansom, A. E., Smith, M. & Valiante, E., Oct 2013, In : Monthly Notices of the Royal Astronomical Society. 435, 2, p. 1463-1468 6 p.